We recognize the constant evolution of the business market and utilize the power of language to keep our affiliated companies connected to the world. Our professionals are fully prepared to provide custom group services. 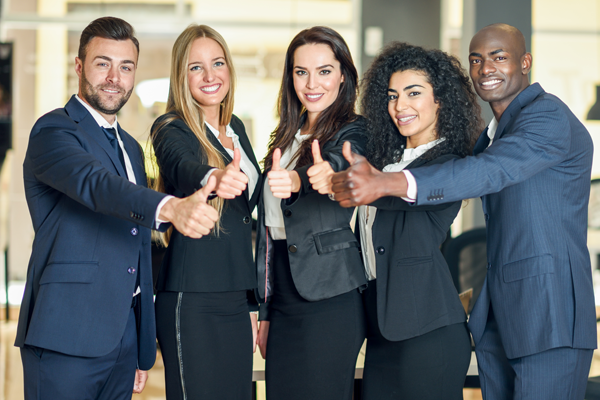 Our proprietary language process and certified instructors engage and guide your key personnel to experience language success and confidence during every training session. We are committed to integrating customized, work-related language instruction, and learning data into your business. Let us help you connect with the global economy. Keep your employees productive by really speaking their language. Become a part of our burgeoning bilingual business. Our mission is to develop an unparalleled partnership with and value for businesses through targeted educational innovations, functional processes, and positive ongoing support to improve business productivity through client language acquisition as they connect with the global workforce.